OLED displays, which can offer power savings advantages over their LCD counterparts, have been rumored to arrive in Apple products for years. But with the launch of the Apple Watch, the company has finally opted to embrace OLED technology, which could pave the way for future devices, like the iPhone, to make the switch. The biggest advantage of OLED displays is the potential for longer battery life, particularly with a dark user interface like on the Apple Watch. There has been no solid indication that Apple has any plans to make future iPhones with OLED displays, but the inclusion of OLED in the Apple Watch makes the possibility stronger than ever. Previously, Apple's interest in organic light-emitting diode technology was just rumor fodder. But now, post-Apple Watch, its appearance within other devices made by the company would not come as a huge surprise. Why would Apple make the switch from its current, highly praised LCD panels to OLED displays? The main reason would likely be battery savings. With OLED technology, each individual pixel is self-lit. This stands in contrast to LCD, which employs a battery draining backlight to illuminate the screen. 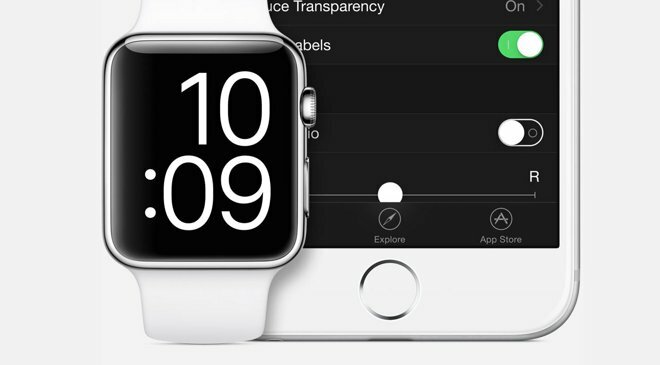 This explains why Apple chose to go with a dark user interface theme with the Apple Watch. The watch faces feature black backgrounds, the app home screen has no wallpaper option, and even the Apple Watch glances are dark. In contrast to the bright and colorful iOS, Apple's Watch OS is utilitarian. For an iPhone, iPad or otherwise to maximize battery savings with an OLED panel, Apple would need to offer a "dark mode" UI in iOS. Conveniently, Apple already introduced a dark menu bar and dock in OS X Yosemite last year, so the idea of a new-look option for iOS would not be unprecedented. OLED could have a number of other benefits beyond battery life as well. Another likely reason that Apple chose OLED over LCD for the Apple Watch is to save space: Because there is no need for a backlight, the OLED panel can be thinner, allowing a device to become smaller, or to pack in a larger battery. As Apple constantly strives to make its devices thinner, lighter, and with the largest possible integrated batteries, it's again easy to see the advantages an OLED screen might offer in an iPhone or iPad. 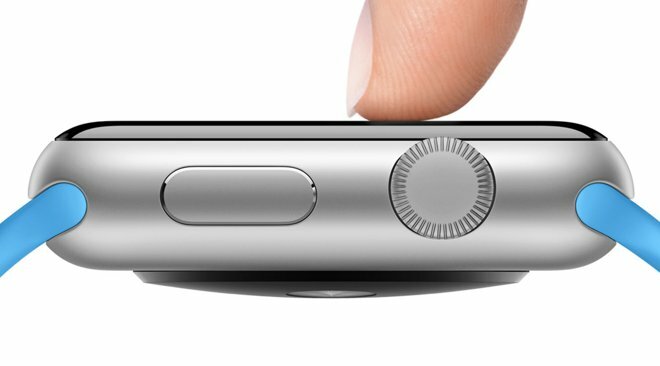 The use of OLED in the Apple Watch has yet another practical application: The display does flex ever so slightly, allowing for the device to sense pressure for Force Touch input. This enables the device to interpret when a user is pressing harder on the screen for the new input method. This year's iPhone and iPad are both expected to gain Force Touch input, though it's expected to detect pressure in a different manner than the Apple Watch. Specifically, analyst Ming-Chi Kuo has claimed that Force Touch will appear on the next iPhone by using capacitive technology with LCD, placing the sensor under the in-cell touch panel's backlight. OLED displays have a number of disadvantages, particularly cost, which have kept them out of devices like Apple's iPhone. While OLED isn't expected to arrive in the iPhone, iPad, or any other Apple device beyond the Apple Watch in the near future, it still seems likely that officials at the company are weighing the pros and cons of the technology for future devices beyond 2015. But one of the key reasons that Apple likely has not embraced OLED panels in the iPhone as of yet is price. OLED technology is newer and not as widely produced as LCD panels, which makes OLED displays a costlier component. There's also the question of how much of an advantage OLED would offer over Apple's current —and nearly universally commended for their quality— LCD displays with in-plane switching. Without a darker iOS UI, battery savings with an OLED panel may not be fully realized, lessening the justification for ditching LCD. And the LCD panels and their accompanying backlights used by Apple continue to get thinner every year, making the advantages of an OLED display even less pronounced. Finally, Apple Chief Executive Tim Cook himself has publicly panned OLED display panels, saying in an interview in 2013 that they tend to feature "awful" color saturation, and saying that consumers should "really think twice before you depend on the color from an OLED display." Of course, Cook's concerns about OLED were short-lived, as just a year and a half after he made those comments, the Apple Watch with OLED display was officially unveiled. Apple prefers to downplay the specifications of its device, however, and its website does not mention OLED, instead referring to the Apple Watch screen as a high-resolution Retina display. Whether or not OLED comes to other Apple devices beyond the wearable Apple Watch, rumors about it are unlikely to die, especially now that the company has dipped its toes in the waters of OLED technology. Will Apple take the plunge?